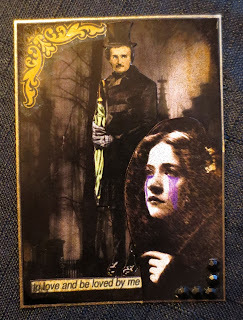 Blackdragon's Crafts: SMEARED AND SMUDGED BLOG HOP WITH POE. 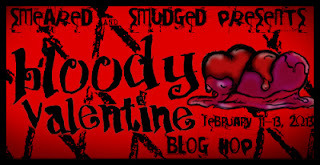 SMEARED AND SMUDGED BLOG HOP WITH POE. 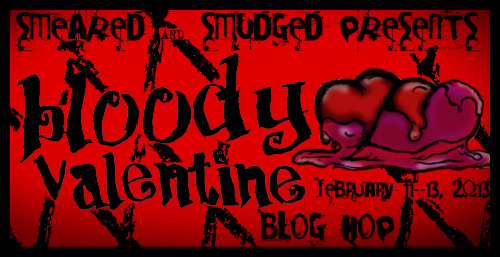 Welcome to day 2 of our BLOODY VALENTINE blog hop. Today its a POE-FEST.....our challenge at QUOTH THE RAVEN is TIC-TAC-POE and at HDH MACABRE MONDAY its POE, ROMANTIC OR LUNATIC. Below you'll find the full blog roll....check out each and every as you'll be so inspired by these talented ladies. 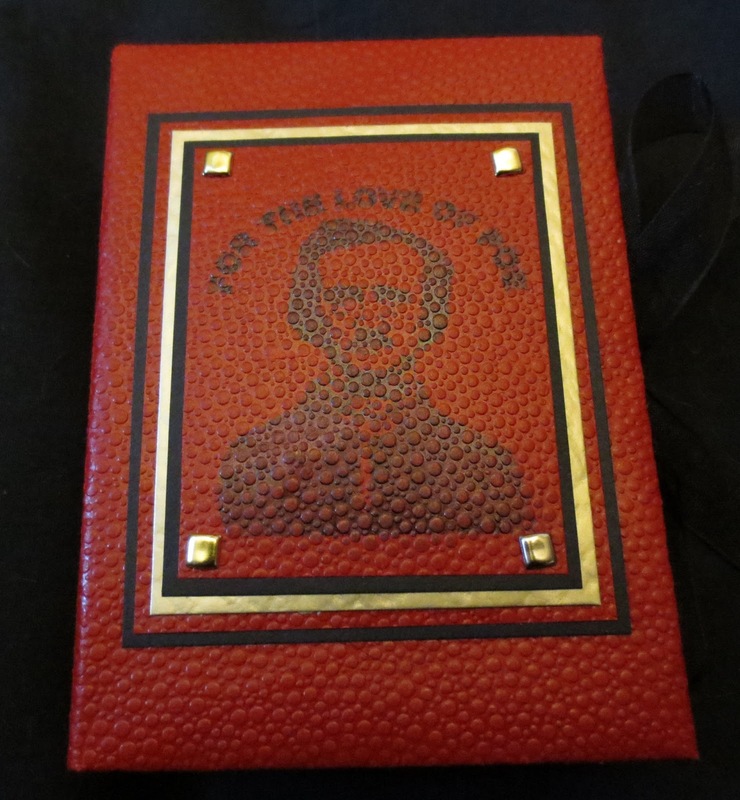 My project today is a book filled with 14 ATC's called FOR THE LOVE OF POE.... it also has another ATC on the cover, so thats 15 in total. 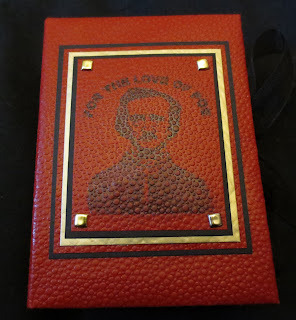 Its completely hand made..... sorry i can only show one of the ATC'S but its for my VALENTINE SWAP PARTNER and i'd like the rest to be a surprise for her.... as i know she likes POE as shes at QUOTH THE RAVEN with me. 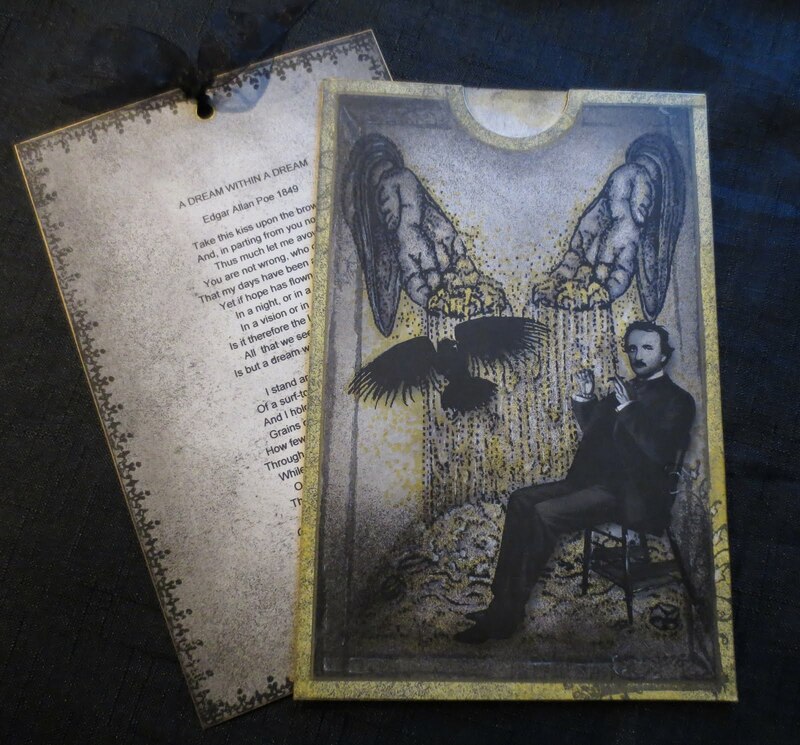 This is my POE for HDH MACABRE MONDAY.... A pouch card with the poem ADREAM WITHIN A DREAM inside.... other than the RAVEN this is my favourite of Poe's poems. 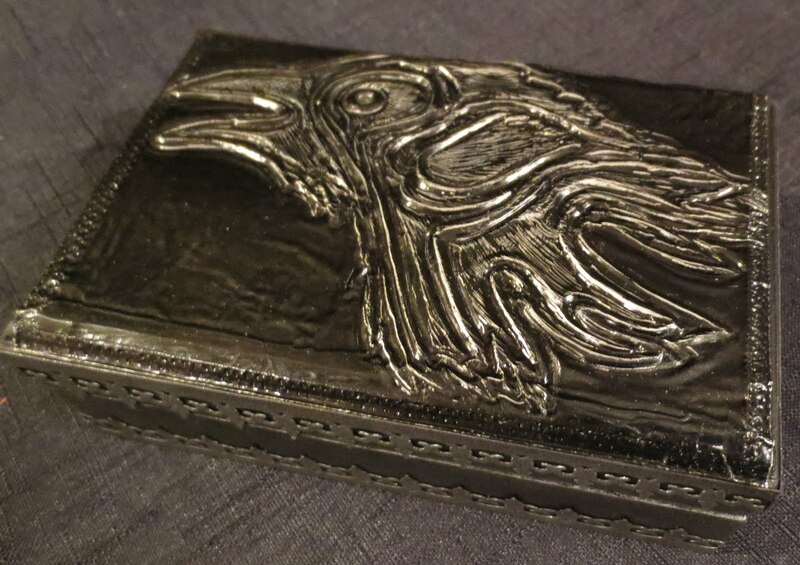 This is my box for QUOTH THE RAVEN,TIC-TAC-POE CHALLENGE. 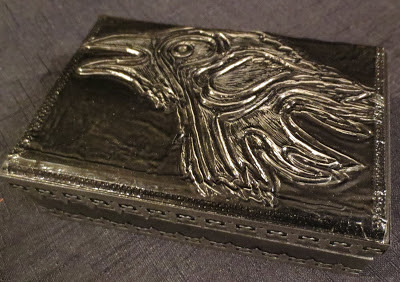 The Raven image is from IKE, embossed onto crafters metal. OMG BlackDragon! You just out do yourself with every single creation! LOVE LOVE LOVE EVERYTHING! Wow...what a great tribute to Poe. 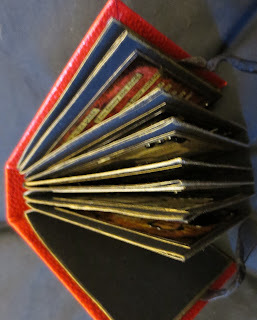 Love the book and the ATC's you have showcased. Your Valentine Swap partner is going to be very pleased! Thanks for sharing your talent! Beautiful and how lucky your partner is ...hand made and looks so perfect. Brilliant creations, I love the way you distress your art work, I love your embellishments. You did a marvelous job on every thing! Beautiful book cover with perfect stamping! 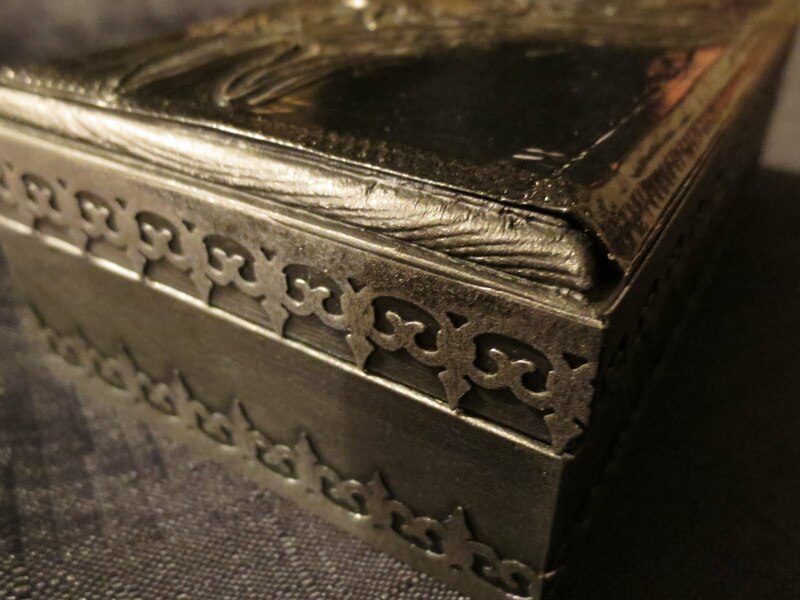 Love the engraved silver box - I can never get enough Poe. Great idea. Wow - a fantastic piece of art. So great work!!! This is fantastic! Thanks so much for joining us at Paper Playtime and Pause Dream Enjoy Challenges! WOW, you've made an amazing job, chapeau-bas for your skills! Thank you for joining us at the Celebrate the Occasion challenge and hope to see you back again. WOW!!! This is incredible! 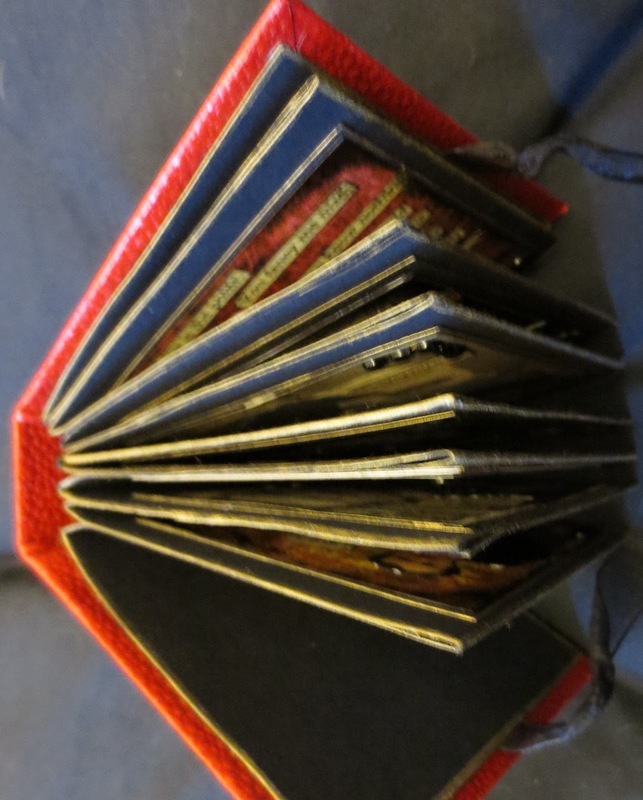 Great ATCs and box! Absolutely stunning!!! Wow, very cool!!!! I love Edgar Allen Poe!!! Someone will be squealing with joy receiving this awesome book as a gift! As always, your work is fabulous!